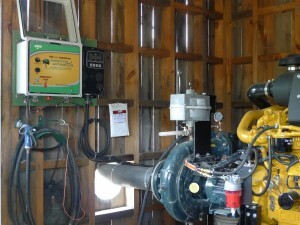 IAS builds unique automated controls for your irrigation pump. Our IAS AdvancedAutoStart™ series of pump controllers will automatically start your pump when needed to protect against Frost and Drought. Our pump controllers support Fertigation integration, Valve Control, Tank monitoring and various wireless sensors.